Now that summer has all but become a distant memory might I say at this point that I don't think it was the total disaster most people are making it out to be. We did have glorious sunshine, sometimes for days on end, but unfortunately part of that good weather happened in April which seems to be becoming a feature of recent years. Perhaps the Department of Education may have to re-think their summer school holiday schedule and aim for April/May instead. Just a thought! Meanwhile, I was strolling along Sandymount Strand the other day where strong winds drove the gathering grey clouds at a fierce pace across the skyline. 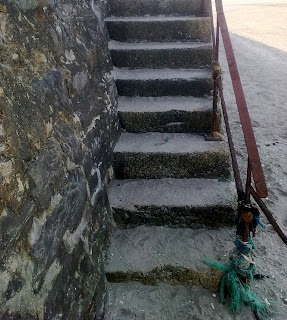 Approaching the old stone stairways dotted along the beach wall I noticed how time and the ravages of sea spray had corroded sections of the rusty iron handrails making them appear almost threadbare in parts. 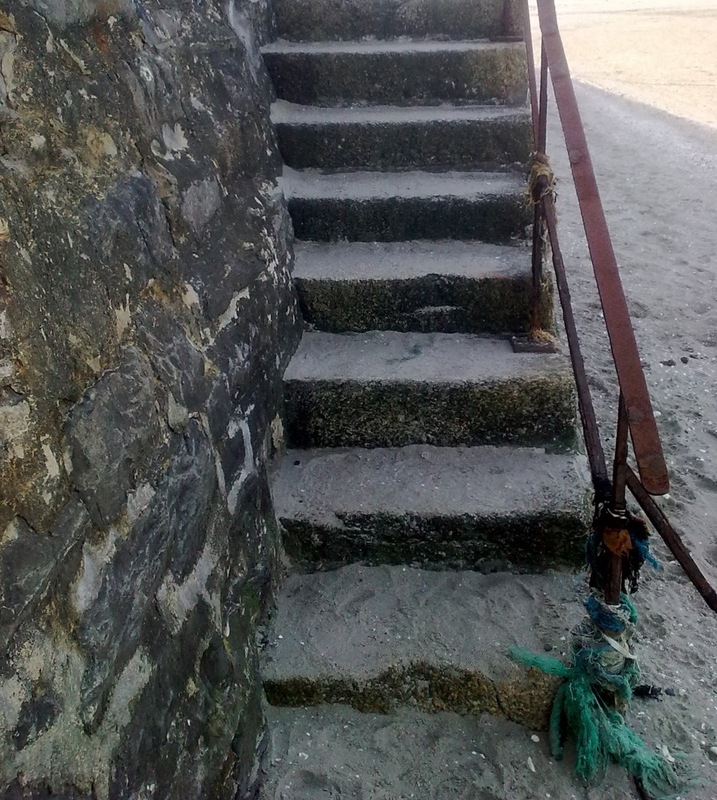 The sight of those stone steps took me back to the sweltering summers of my childhood at the beach. Sunday mornings in particular Mam, Dad and I would head off walking the fifteen minute or thereabouts journey to Sandymount Strand which meant we didn't need to get the No. 3 bus that took you all the way to the Martello tower. 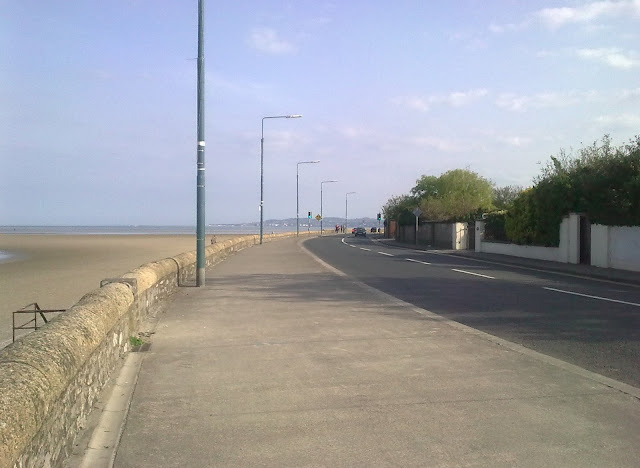 Walking alongside the sea wall on Beach Road was always a joy to the senses. Women wheeling their babies in the magnificant high prams of the day, the excited laughter of their older children as they ran giddily ahead, the reassuring low hum of the car engines as they practically glided past, most cars back then being black in colour. The one memory though that has remained most vivid is that of the wonderfull smell of seaweed. I savoured it then and I still do now. On most occasions when I visit the wind is coming from a favourable direction thus once again delighting my nostrils with the air of sand and seaweed. Above images of Beach Road, Sandymount and Stone Steps taken by me in April 2011. Thank you Alexandra for your lovely comment. Yes, it's probably my favourite place on earth. I feel so at peace every time I go there, perhaps because I have such great childhood memories of the place. It looks so beautiful no matter what the weather. Thanks again, take care. Cheers!